Thank you to our attendees, speakers, committee, Board of Directors and volunteers for making this year the best yet! We are excited to see what 2019 has in store. Credited with making great strides in homelessness in her home city of Houston, Texas, current President and CEO of Victory Fund and Victory Institute and former Mayor of Houston, Annise Parker, will share her experience and best practice strategies with conference attendees. Click here for more. Lisa Hershey has served as Executive Director of Housing California, based in Sacramento, since November 2016. She has an extensive background in leading multi-sector initiatives around statewide policy change. In her previous role as Associate Director, she supervised Housing California staff, managed operations and cultivated non-traditional partnerships with multi-sector coalitions, networks and agencies, bringing the housing sector into greater conversations around climate change, equity, health and resident organizing. Click here for more. Michael Gaulden is the debut author of “My Way Home” a memoir that chronicles growing up homeless for ten years in San Diego. He is an active Homeless activist, education enthusiast, spoken word artist, musician and activist for all disadvantaged people. Read more here. Thank you to the Voices Of Our City Choir for opening our Conference on October 4 with a special performance! Founded in 2016 by San Diego musicians Steph Johnson and Nina Deering, Voices Of Our City Choir was created in response to the current housing crisis. The choir serves as a space for mutual aid and community building, as well as giving voice to San Diego's homeless community, past and present. Read more here. San Diego Housing Federation’s 27th Annual Affordable Housing and Community Development Conference was held on Thursday, October 4, 2018 with Pre-Conference Institutes on Wednesday, October 3, 2018 at the Marriott Marquis San Diego. 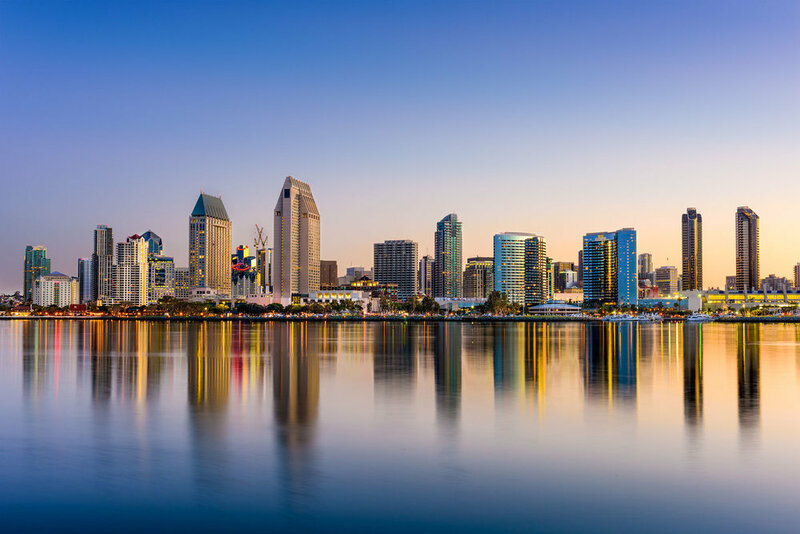 Each year, the San Diego Housing Federation brings together the region’s housing and community development leaders and professionals for the county’s only day-long conference dedicated to building and preserving affordable homes and vibrant communities. San Diego Housing Federation’s Annual Affordable Housing & Community Development Conference brings together more than 500 developers, builders, architects, lenders, property managers, service providers, elected, agency officials, staff, residents, and community and business leaders to share innovative approaches to affordable housing, community, and economic development. Click here for the general Agenda. View the Speakers List, Detailed Agenda and Sponsor List. Breakfast Keynote will begin with a special performance from the Voices Of Our City Choir and address by Executive Director of Housing California, Lisa Hershey. Lunch Keynote Address will kick off with a special presentation from author, Micheal Gaulden and address by President and CEO of Victory Fund and Victory Institute and former Mayor of Houston, Annise Parker. Workshop topics, timing, and keynote information will be announced when registration begins. View the 2017 conference video for a sneak peak. Thank you to TekWorks for putting it together. Show your support for excellence in San Diego Affordable Housing and consider a sponsorship in 2019. Full sponsorship packets and other opportunities will be announced soon. This packet details the various SDHF membership and sponsorship opportunities available along with corresponding benefits, allowing you to choose the options. Self-parking at the convention center (up to 10 hours) at their prevailing rate. Currently at $15 per car. Valet parking on Marriott property at $19 per car, upon availability. Overnight parking rates are $32 for self-parking and $47 for Valet per car. The Fundamentals of Affordable Housing Institute is a day-long educational training that will provide an overview of the affordable housing development process, including feasibility, design, construction, finance and operations. The institute is presented by experienced affordable housing professionals, including an architect, developer and financial consultants. This institute is especially useful and targeted to entry-level project managers, members of the board of directors of nonprofit developers and staff of public agencies, but all are invited to learn. Resident services provided in conjunction with affordable housing are a vital tool to help low-income individuals and families overcome barriers to success and achieve self-sufficiency. Resident services professionals play an indispensable role in changing the lives of the residents they work with every day. Resident services professionals from across the county attend this full day educational opportunity in order to grow the knowledge and skills necessary to provide a more meaningful impact in this important field. Designed and implemented by the Resident Services Network (RSSN) in conjunction with the San Diego Housing Federation, the Resident Services Institute is an annual gathering of Resident Services professionals and providers. This day-long intensive learning event offers essential training, support, and networking opportunities around key and relevant topics related to providing programming in affordable housing communities. The conference is the culmination of a 2018 RSSN Training Series of monthly workshops providing certification for those who attend five of the eight workshops and the Institute. Without your help, the Conference would not have been a success. We appreciate all the time and energy you put in to the event and look forward to a successful event in 2019.